AM I A MAN DREAMING I AM A BUTTERFLY, OR AM I A BUTTERFLY NOW DREAMING I AM A MAN? I am lying down in a nondescript place. The space extends far away to all directions. It’s all white and I can’t move. All of a sudden, I see, right above me, a gargantuan object resembling a can being tilted as if about to pour its content all over me. The substance resembled, and felt like, condensed milk, and I saw myself being engulfed by it. I could not escape. I felt paralyzed and unable to breathe. Other times, I would see myself mixed up with the thick substance as the massive can was turned over and I would be poured out slowly with the gooey and dense stuff. I would wake up with a jolt, covered in cold sweat, unable to go back to sleep, such was the intensity and verisimilitude of this recurring dream of mine. Dreams have always been an area that fascinates both scientists and the general individual alike. The dream state has the capacity to transport the person to a space where one can experience situations that elicit deep-rooted emotional responses. While dreaming we feel as if we are going through the real thing. In the dream space we access the subconscious part of our minds through symbolic images that are highly charged with primeval drives. 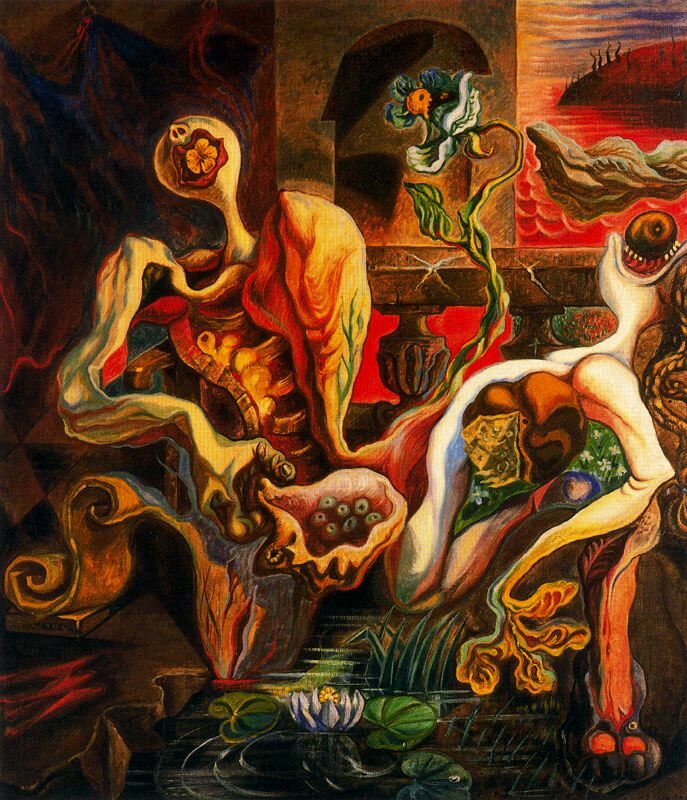 The surrealist artists explored the world of dreams and the subconscious through the use of automatic expressions that liberated the subconscious mind from the control and censorship of the waking state. When we think of surrealist painters the first name that comes to mind is unequivocally that of Salvador Dali. Dali explored his dreams in a way that left no room for the objective reality. 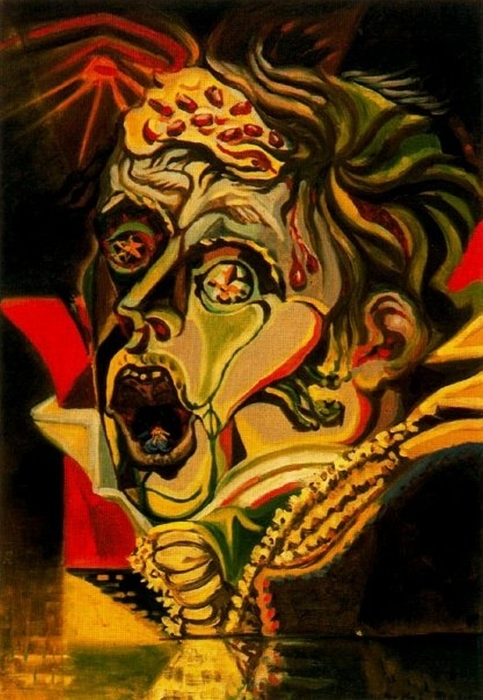 His paintings were live psychoanalytical tableaux that revealed a far deeper understanding and representation of his motivations by making use of a multitude of symbols and myths. He stirred archetypes together and transcended the limitations of time and space while depicting an eroticism embedded with sacred connotations. 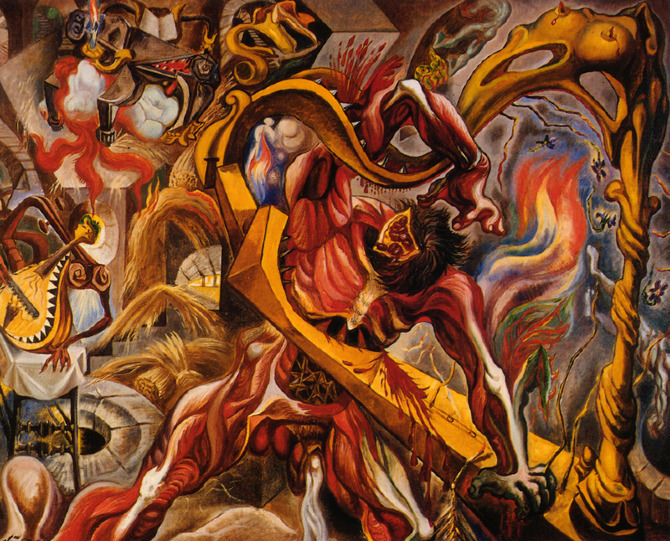 André Masson is not a name that most people will recall when they think of surrealism. Masson was born in France in 1896. He explored many methods that would enable the subconscious to be expressed freely in his attempts to paint the so-called “inscapes” or the the inner world and its images contained in the subconscious mind. Masson explored automatic drawing and other methods such as being under the influence of drugs with Antonin Artaud, Michel Leiris, Joan Miró, Georges Bataille, Jean Dubuffet, and Georges Malkine. 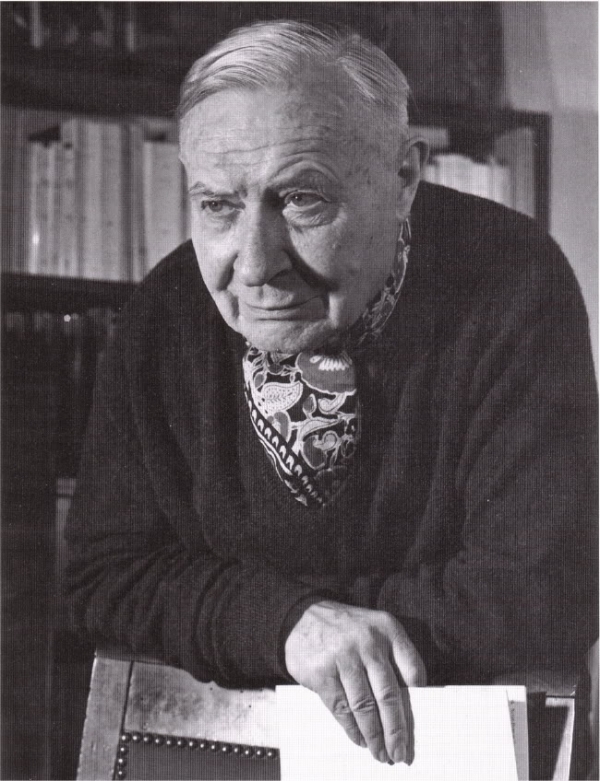 Until today, Masson is not well-known as an important figure in the history of surrealism.It is about time he received the accolade he so rightfully deserves. 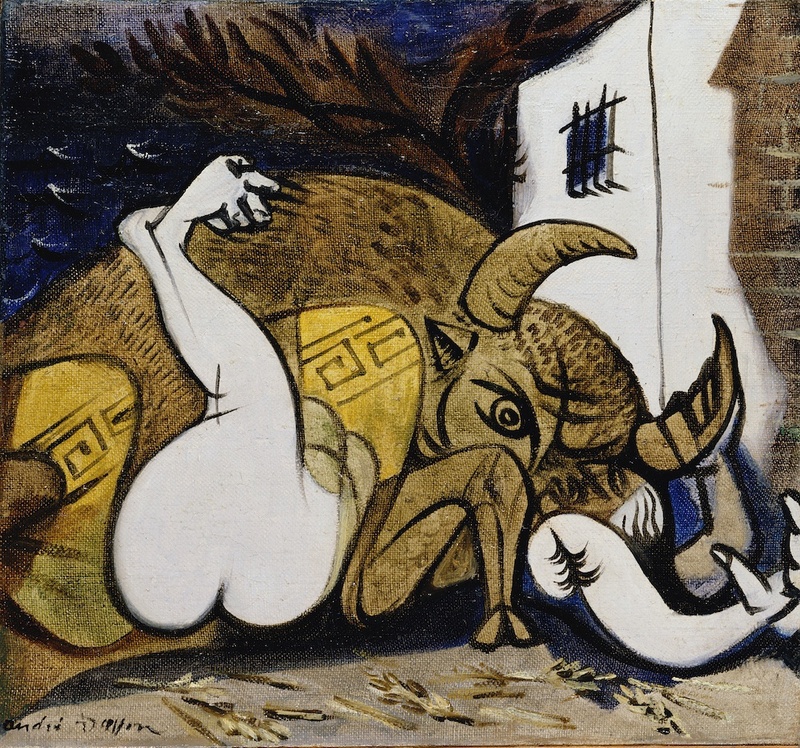 Surrealist Art was directly influenced by the theories of psychoanalysis, in particular the dream theories of Sigmund Freud. As much as any surrealist work attempted to depict the workings of the subconscious mind through the use of automatic drawings, writings etc., Freud denied that these works were a product of direct manifestations of the subconscious. Freud observed that “pure psyche automatism”, in the sense of what the surrealist artists were doing, was still being mediated by the directives of the conscious mind. Regardless of any agreement on the direct expression of the subconscious mind, the images the surrealist artists rendered comprise a motley collection of “inscapes” that investigate the human psyche nonetheless. 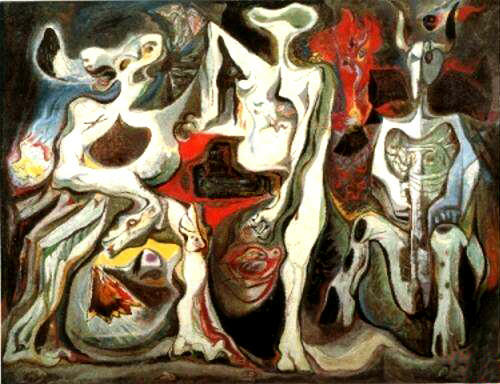 André Masson was a prominent figure in surrealism art. Masson himself had been wounded in WWI and was interned in mental institutions for years due to insubordination. His paintings and drawings show an artist who ventured into the exploration of his psyche. Masson was a pioneer in automatic drawing and all his explorations led him eventually to biomorphic abstraction which uses forms and lines that are found in nature, thus giving birth to an organic abstractionism that melts forms into one another and creates a landscape rife with vigor, eroticism, vibrancy and violent movement. Shapes become alive as if bodies were in constant revolt. The nonlinear, pictorial quality of this type of expression frees the viewer from an objective identification, allowing a free association that can usually be found in oneiric images. Dreams are often confused and violent and independent from a linear narrative. Many times dreams can only be understood outside the objective mind. It functions as a sort of gateway that incorporates shapes and forms with deep archetypical resonance. The Surrealism movement employed the Freudian “free association” in vogue among artists and the intellectual elite around the end of the 19th century, and gave birth to a new language that was able to translate the new social landscape that was forming in the new century. Even today surrealism is part of the artistic arsenal of our culture. It visually translates complex emotions and instinctive drives within the socio-cultural tapestry that make up our intricate world today. The mind is a powerful organism that can engender a multitude of images with an intense energy output. Artists have been making use of the unmapped territory of the mind for millennia. The surrealists absorbed the revolution brought about by psychoanalysis with Freud, and created nightmarish visions as well as beautiful abstract landscapes. This post attempts to offer a few glimpses into the oeuvre of André Msson and hopefully instigate more people to get to know this prolific artist. When we dream we are not aware we are dreaming, unless it’s a lucid dream. Philosophers questioned how do we know that we are not actually dreaming when we seem to be awake, since we are not able to make that distinction when we are dreaming. The Chinese philosopher Chuang-Zhou, who lived around the 4th century BC, postulated that he dreamed that he was a butterfly and that, while dreaming, he was aware of his being a butterfly. When he was awakened, he questioned the reality he was now experiencing. He did not know whether he was a man dreaming he was a butterfly, or instead a butterfly now dreaming he was a man. Such is the reality of dreams. As in the world of dreams, the apparent reality of the objective world is in constant transformation and things may not be what they seem; we might all be dreaming this dream. ← FROM PLATO TO ŽIŽEK – CAN PHILOSOPHERS HELP US TODAY?